cpcfriends BLOG: Is your church on the list? "I assumed someone else would step up. Do you still need me?" YES - WE NEED YOU! 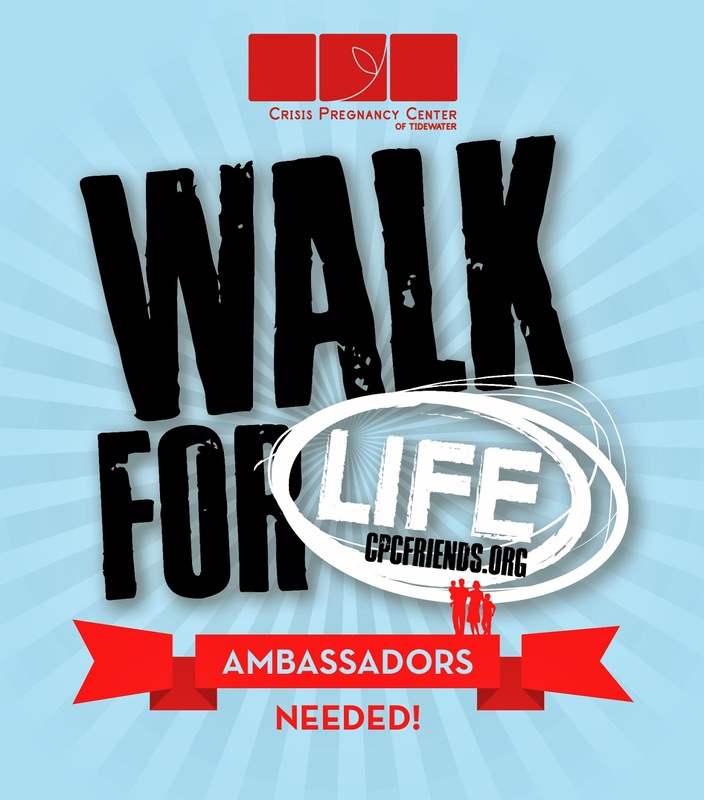 An ambassador promotes CPC's Walk for Life in their church, recruits fundraising walkers and connects with their walkers on a weekly basis to encourage them in their efforts. If your church isn't on the list below, we don't have an ambassador there yet. But even if your church is on the list, there's room for more than one ambassador per church. The more, the merrier! We have resources to help equip you for success - contact Tonya (tonya@cpcot.org) or Alexis (alexis@cpcot.org) before the last scheduled training on March 4th!